2:00 PM Medvil drew with WTFM (0 – 0). 4:00 PM Hooligans def. Columbia (3 – 1). Goal scorers for Hooligans are Clemens Lademora (10’); Glen Bulaqueňa (54’); and, Allan Rey Fernandez (87’). Scorer for Columbia is Aldin Tiboron (57’). 6:00 PM PNP def. Ebocci (4 – 2). Goal scorers for PNP RXI FC are Manuel Aspellaga (25’ & 49’) and Rene Valdesco (36’ & 53’). Goal scorers for Ebocci are Warren Ravanes (8’) and Nigerian player Odebi (75’). 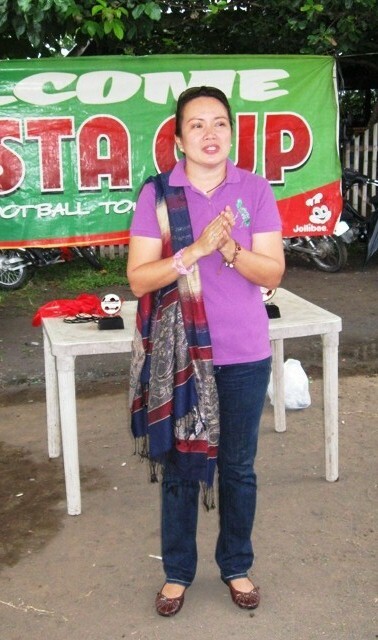 7th Mayor Inday Sara & VM Rody Duterte Cup: HOLCIM inter High School Football League will have its opening on 03 December 2011 at the Deca Homes Resort and Residences Country Club at 8:00 AM. For the first time the opening ceremony will be hosted outside the Tionko Football Grounds to attract more teams from the third and second districts of the City. Expected to participate are the Calinan NHS, Baguio, Gen. Roxas NHS, and Holy Cross of Calinan from Calinan and Baguio Districts. Mintal Comprehensive, Sto. Niňo NHS, MIntal Annex, Good Soil Academy, and Holy Child School of Davao – Green Meadows will compete for Tugbok District. One winner each from the combined Calinan / Baguio and Tugbok Districts will then advance to the Davao City Finals. 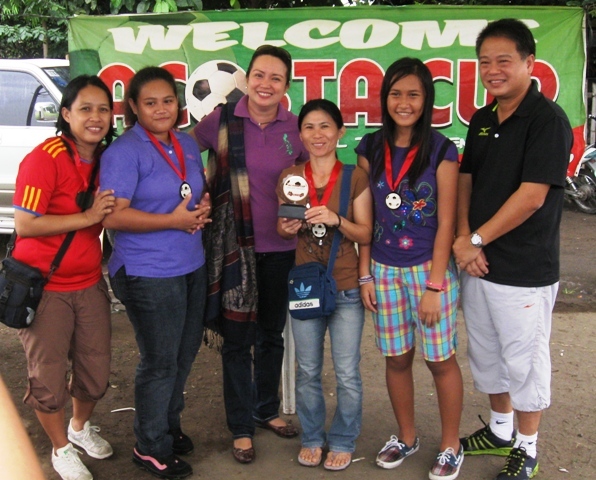 Invited in the opening ceremony are Mayor Inday Sara Duterte, Engr. Cilor P. Guevarra of Holcim, Tacunan Bgy Capt. Algin de la Pena, Mintal Bgy. Capt. Ramon Bargamento II, and Deca Homes Resort Country Club Manager Giovanni Paulo Soo. Other venues are in Toril and Lasang in the second district. The tournament will have two divisions, with Division “A” having 6 time champion EMAR Learning Center, Ateneo High School, Davao City NHS, and Calinan NHS which will be the regular 11 a-side game. This will be a double round robin format with the team garnering the most number of points winning the tournament. Division “B” is for developing or newer teams / schools involved in the football program. Division “B” is a 9 a-side competition with winners from Calinan /Baguio, Tugbok, Toril, Lasang, and 1st District eliminations playing a Davao City wide championship. PWC HS vs. UP Mindanao : 3-2. 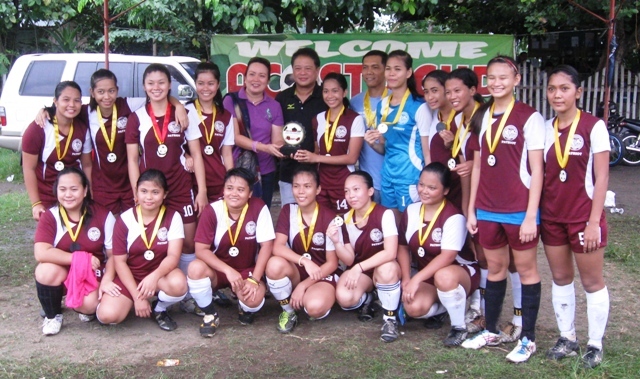 Goal scorers for PWC are Maria Theresa Concordo (21'); Agot Danton (31'); and Leonor Satorre (70'). UPMin scorers are Princess Cuabo (6') and Alexandrea Cortes (17'). Nakamata Kickers vs. Lady Knights : 0-9. Scorers for Lady Knights are Kim Maligad (15' & 34'); Annika, Ong (3' & 66'); Merlo Albano (8'); Mia Co (19' & 64'); Bea Panganiban (25'); and, Mally Ang (44'). PWC College vs. D'DS : 3-1. Scorers for PWC Coll -, Cherry Vilchez (6'); Nina Arrieta (8'); and, Jerika Cantila (50'). Scorer for D'DS is Rachelle Delos Reyes (55’). The top two (2) teams garnering the most number of points will vie for the championship. 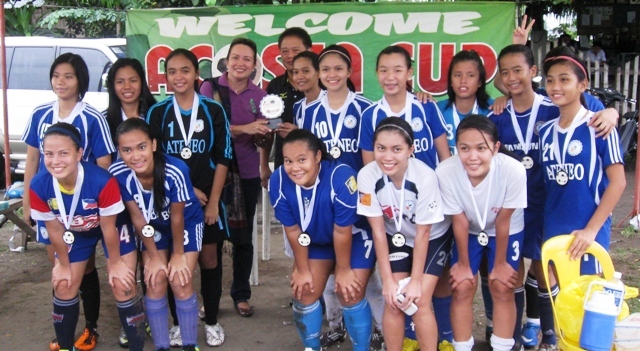 The tournament sponsors are Mabel Sunga Acosta, KTM Davao, Ducati Davao, and DIMDI Center Inc.